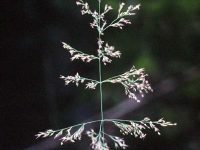 Type: Warm-season, perennial bunch grass. 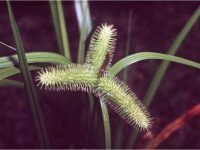 The inflorescence or seed head resembles that of human eyelashes or an upside down eyebrow! Very fun! Can be used in cut and dried flower bouquets as well as being a great plant for upland prairie and shoreline restoration! It tends to grow best on drier soils, but is adapted to medium to fine deep soils. Wildlife: The seeds are enjoyed by birds. 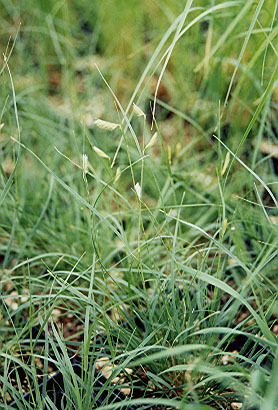 This grass is a host plant for Skipper Butterfly! More Info: This grass has short rhizhomes and is eventually sod forming. 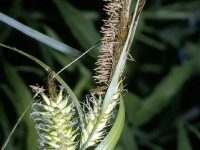 It is used in low maintenance lawn mixes. See our Western Laid-back” seed mix. listed in the “seeds” area of our Shop Online page! 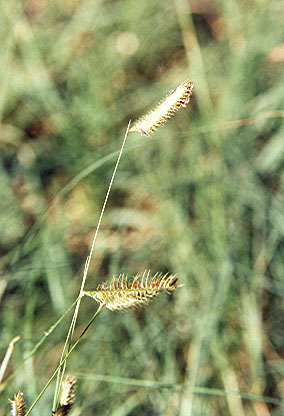 Blue Grama greens up slower than cool season grasses in the spring, but stays green in the drier parts of the summer.